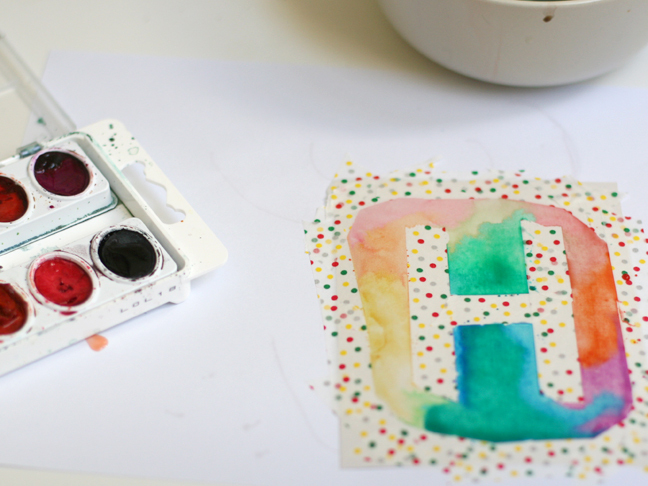 I’ve been loving experimenting with watercolor lately to make handmade cards. It’s so pretty and perfect for spring! 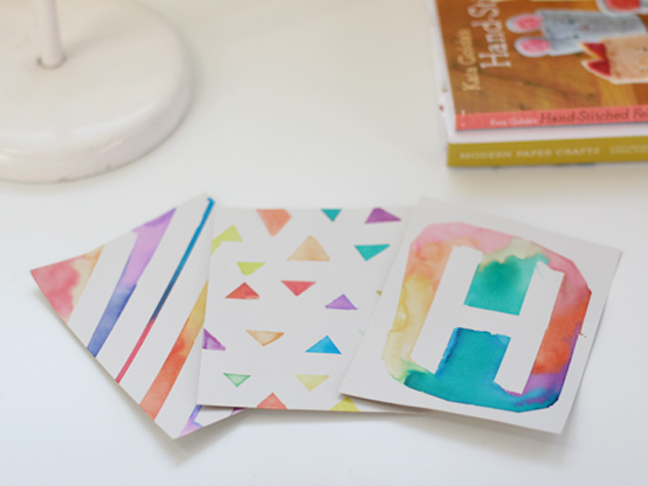 These are really easy to do and although they look fancy, they’re quite simple! 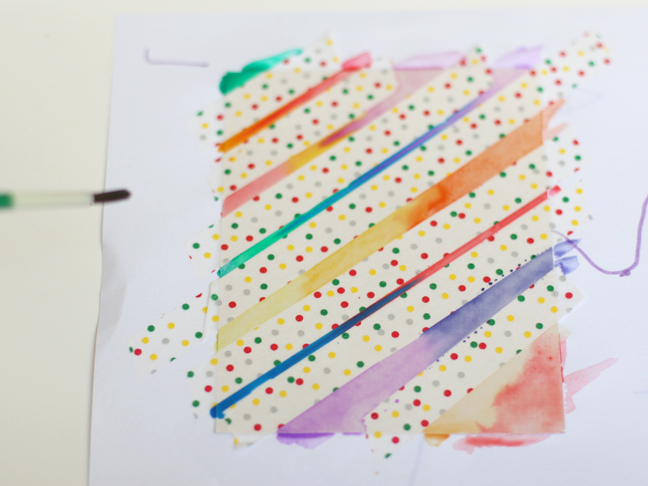 I’m using washi tape becuase it’s the least sticky of my tape choices. I want something that will come off easily and not rip the paper. 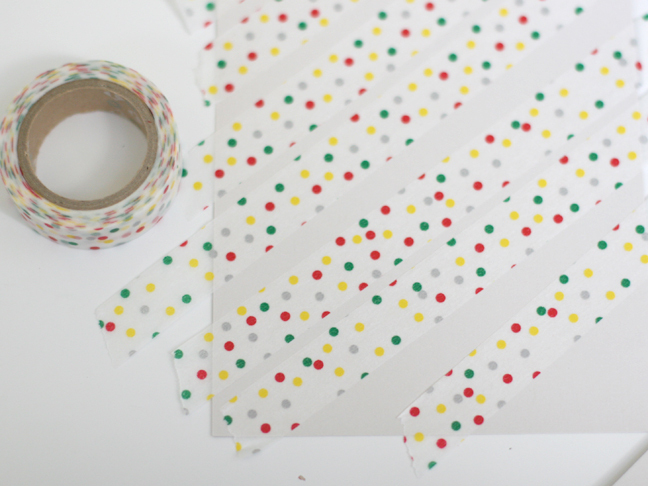 Make a few stripes or whatever pattern you’d like with the tape. Don’t press it down too hard, you want a little color bleeding. 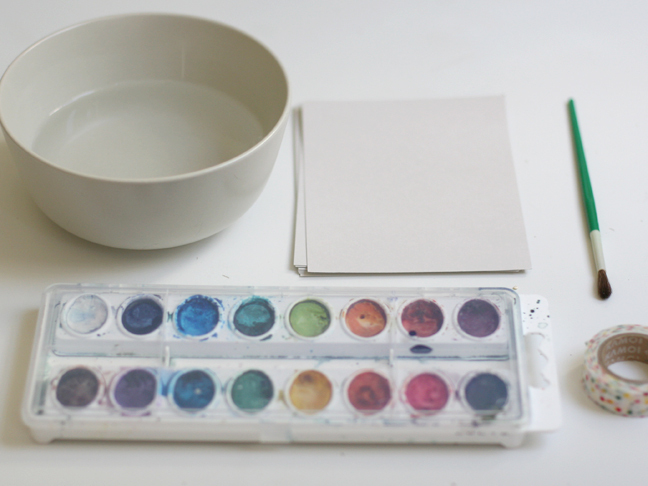 Then apply your watercolor. I tried to mix similar colors together. 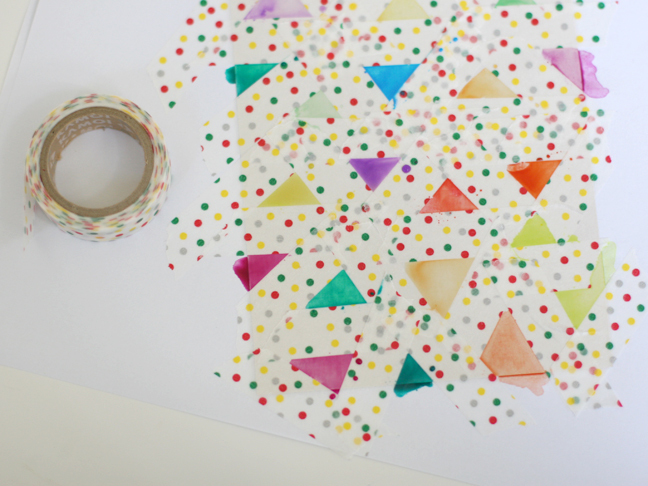 I also make some triangles by overlaping the tape. I think this H may be my favorite one. 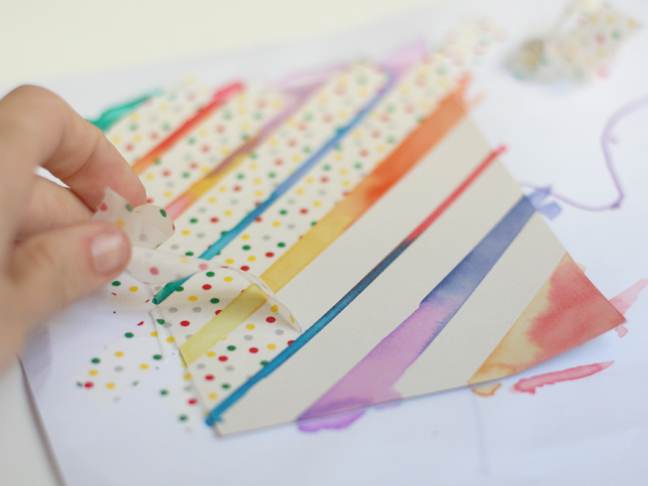 Let it dry completely and then carefully take off the tape. Personalize your card on the back with a message.